KENNEDY SPACE CENTER (FL), March 15, 2019 – The International Space Station (ISS) U.S. National Laboratory announced a Request for Proposals (RFP) for investigators seeking biological specimens from mice to support fundamental biological and biomedical inquiries related to the effects of age on health after exposure to microgravity. 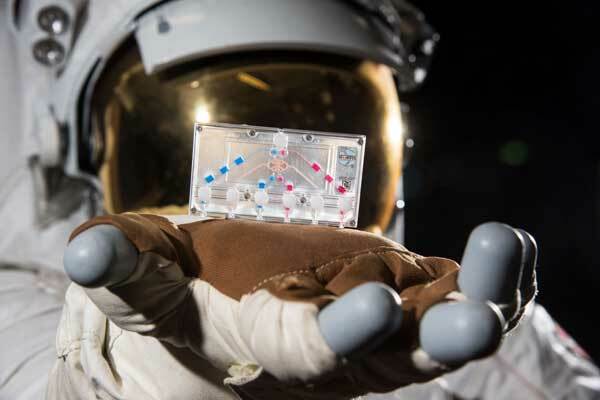 Due to a tremendous response from the research community after an initial Rodent Research Reference Mission in 2018, the ISS National Lab will provide a second opportunity to access space flown biospecimens. (CASIS PR) — On Friday, February 8, 2019, the International Space Station (ISS) U.S. National Laboratory will host its annual Public Board of Directors Meeting in Washington, D.C. The meeting will provide board members and management the opportunity to discuss the organization’s progress and to forecast the vision for 2019 and beyond. Additionally, the annual meeting provides the opportunity for public questions on the current and future of the ISS National Lab. We encourage members of the media to attend this meeting in person or to follow in real time through our live-streamed webinar (information below). Featured guest speakers from the National Institutes of Health’s National Center for Advancing Translational Sciences, LambdaVision, and Merck & Co. will discuss innovative research and development on the ISS National Lab benefitting life on Earth. KENNEDY SPACE CENTER (FL), January 25, 2019 (CASIS PR) – Last night, the Regenerative Medicine Foundation awarded the International Space Station (ISS) U.S. National Laboratory the foundation’s annual Leadership Award for enabling stem cell and regenerative medicine investigations onboard the orbiting laboratory. The award was presented at the 14th annual World Stem Cell Summit in Miami, Florida. Past recipients of this prestigious award include former Vice President Joe Biden and his wife Jill Biden and also Michael J. Fox (The Michael J. Fox Foundation has sent multiple projects to the ISS National Lab aimed at improving the understanding and treatment of Parkinson’s disease). ISS National Lab Board of Directors member Dr. Gordana Vunjak-Novakovic accepted the award on behalf of the organization. KENNEDY SPACE CENTER (FL), January 10, 2019 – The International Space Station (ISS) U.S. National Laboratory is proud to release its 2018 Annual Report. The report is intended to educate stakeholders and the general public on highlights and accomplishments from the 2018 fiscal year (October 1, 2017 through September 30, 2018). The report includes an updated look at the ISS National Lab research and development portfolio, in-orbit activities onboard the space station, new and enhanced partnerships, success stories, and expanding engagement and outreach. 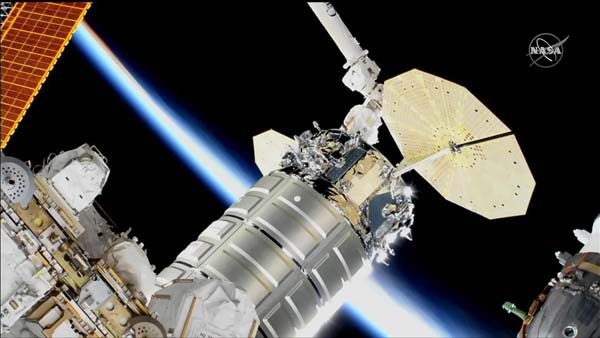 PITTSBURGH (Astrobotic PR) – Bosch in North America and Astrobotic Technology Inc. today announced a research partnership to send experimental sensor technology to the International Space Station (ISS) as early as May 2019. 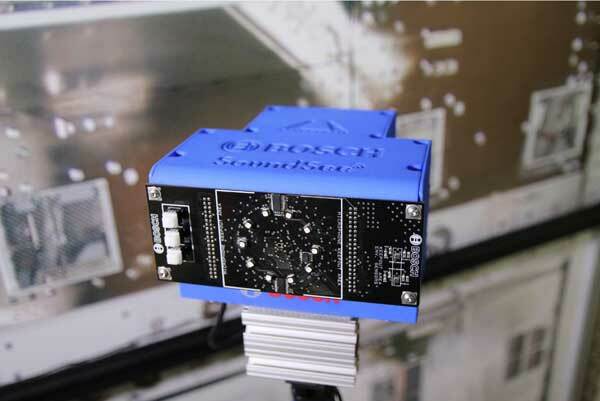 Bosch’s SoundSee technology is a deep audio analytics capability that uses a custom array of microphones and machine learning to analyze information contained in emitted noises. SoundSee’s analytics will investigate whether audio data from equipment could be learned and understood using advanced software, such that it could be used to improve the operations of the ISS.